pushed you all the way up to the player of the month! when we ended up in the top rumble guild spot! 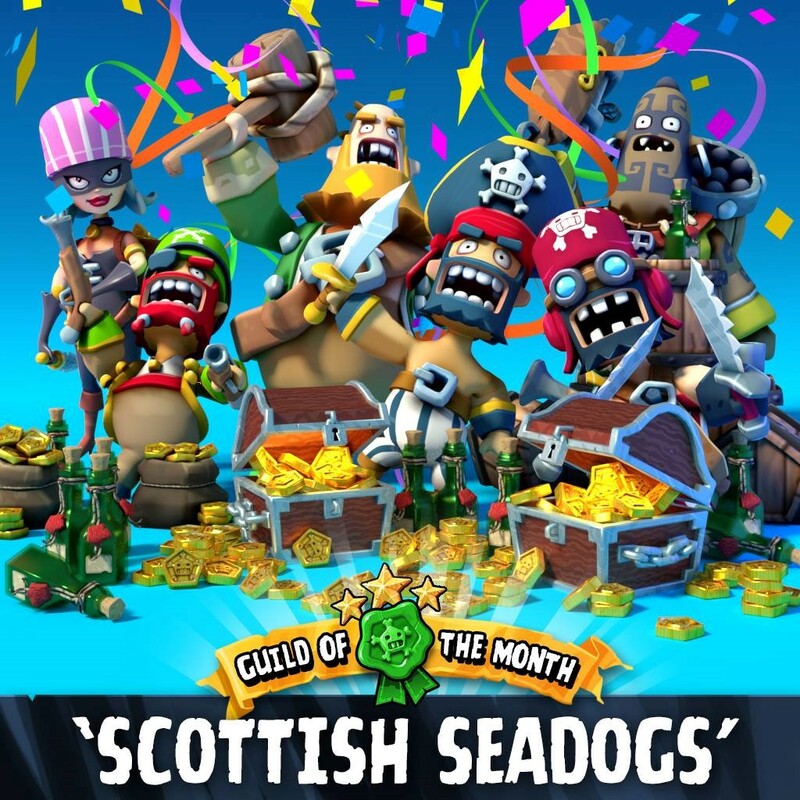 Welcome aboard Mateys t’ the Scottish Seadogs! Visitors are always welcome to stop by and visit for a rumble or an event, if there’s room. Just don’t be offended if we can’t ask you to stay around for good, because we always need to leave some space open for our R&R members to come back when they’re ready to rumble. Ye be askin’ what argh t’ basics o’ bein’ a Seadog? We be active adults ‘n this here guild an’ we be settin’ sail fer a hearty rumble twice a week. Battle t’ get yer minimum plunder points each rumble. Ye don’t want t’ be walkin’ the plank fer missin’ yer minimum now do ye? Keep yer guild ship pirate request t’ donation ratio even. Don’t be an arse an’ only take ’em! Share ’em wit’ yer fellow pirates too! Contribute to guild perks when ye can Matey. Many hooks makes less work. 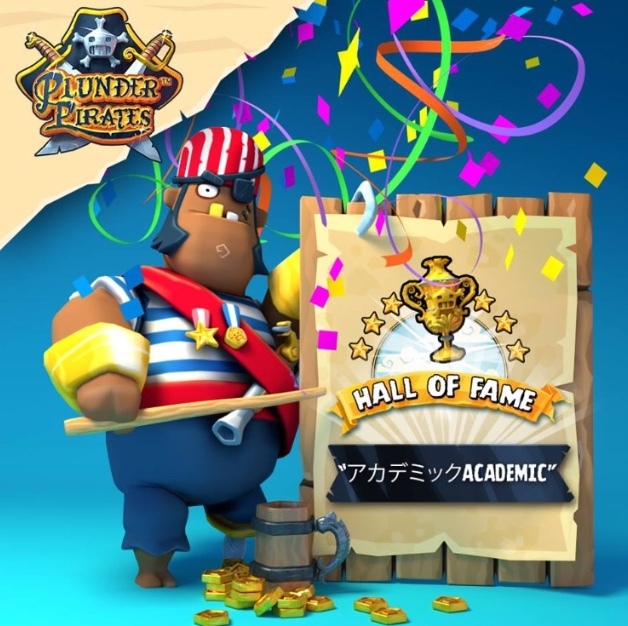 A plunderin’ pirate keeps his nose out of books on a good day, but don’t be caught wit’ yer breeches down – give a gander at the Seadogs’ smart parts fer not-so-secrets ’bout the guild, donations, rumbles, events, and streaks! Don’t ye be a stranger, eh, Squidie! We be chattin’ actively in th’ game, so speakin’ English is a must. Say Ahoy in game chat when ye be surfacin’ from fightin’. We enjoy a good wee laugh a’ yer mistakes, an’ yer wins. We argh plenty o’ veteran pirates wise ‘n ways o’ strategic rumbling an’ plunderin’, and all things pirate. Settle in, ha’e a grog or three, ha’e fun, and we will see ye ‘n th’ high seas! In case ye just stumbled o’ us from a search, we’re a pirate’s guild in Midoki’s Plunder Pirates for iOS an’ Android. Not playing? Well heck then, get ye t’ the app store an’ see to it!